A sailboat has many advantageous features but it has always a penalty, the DRAFT. 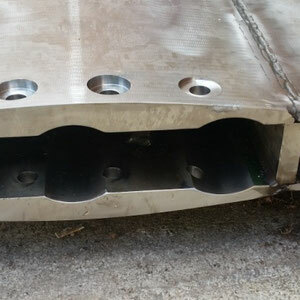 Provide your boat with an hydraulic keel and minimize it! 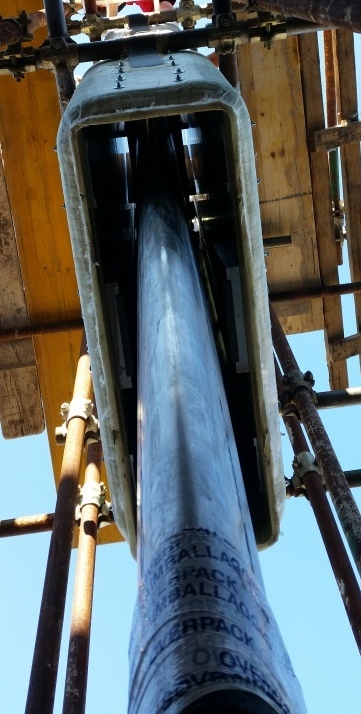 The lifting keel is a keel provided with the vertical up/down movement. 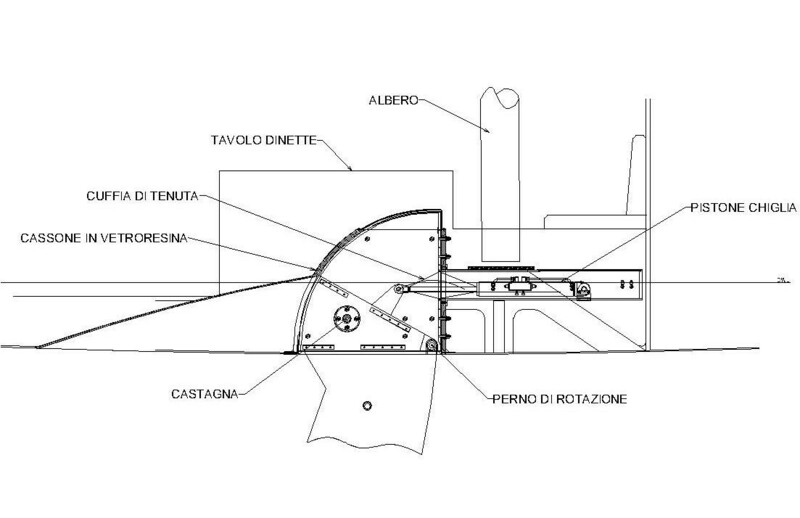 · Keel longitudinal position remain fix in the desired position. 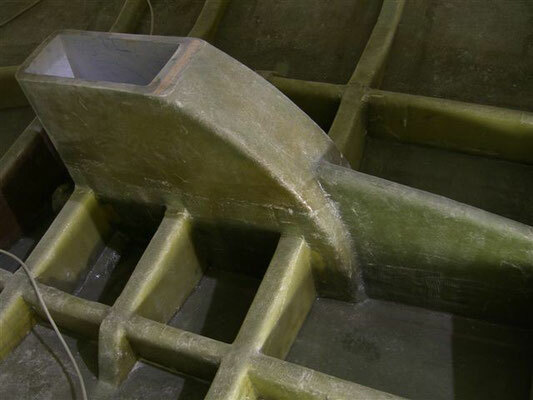 After several years working in the large sailboat keel system, Coupè Design develop a system dedicated to midrange boat, that is boat of a length of 10à20m. Each system is adjusted on the specific project to maximize its benefit. 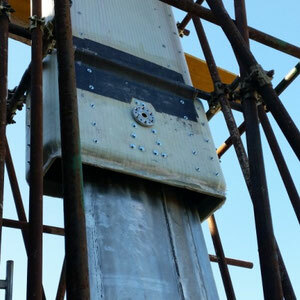 The housing box, GRP made with stainless steel reinforcement, is always re-designed to better suit to the surrounding structure and it’s optimized by FE Analysis. 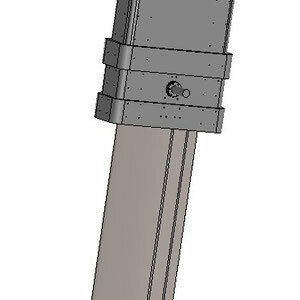 The fin is itself part of the mechanism and, if not differently required, is structurally developed in house with a FE Analysis optimization. Fin can bulb can CFD optimized. Each system is always Taylor made on the specific project. The pivoting keel is a keel provided with the forward & after rotating movement. 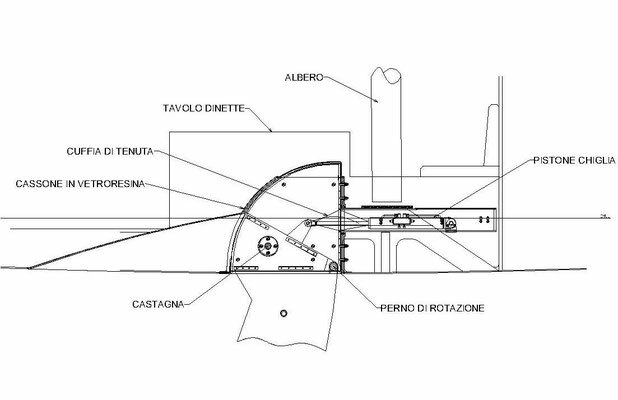 This system offer as a main advantage the biggest draft excursion, because the keel may result completely hidden into the hull in the upward position, but on other hand any bulb can be installed and the keel weight longitudinal position may change a lot between the two end positions. 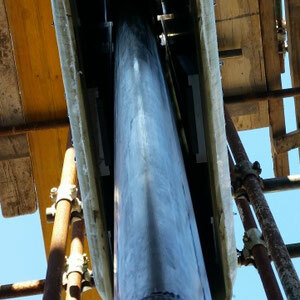 Our system is developed to be installed in boat of a length of 10à25m. Each system is Taylor made on the specific project.